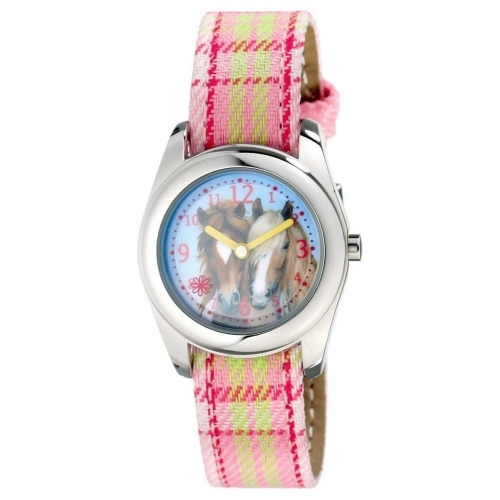 This gorgeous horse watch has two horses faces on the watch face, with clear pink numbers for telling the time. It has two canvas interchangeable straps that are very easy to change so that it will match any outfit. 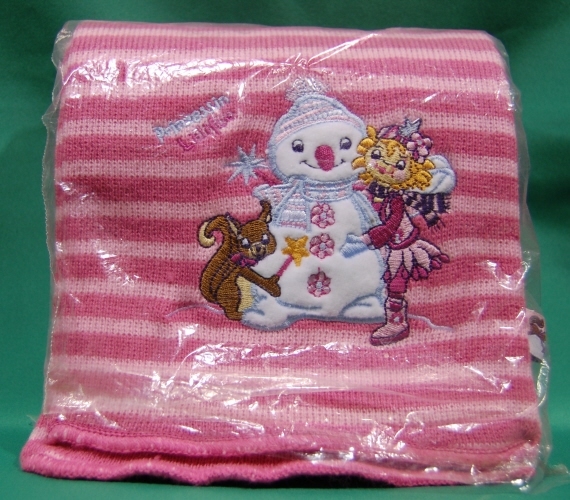 One strap is pink checked, and the other brown with pink flowers embroidered onto it. Presented in co-ordinating box.